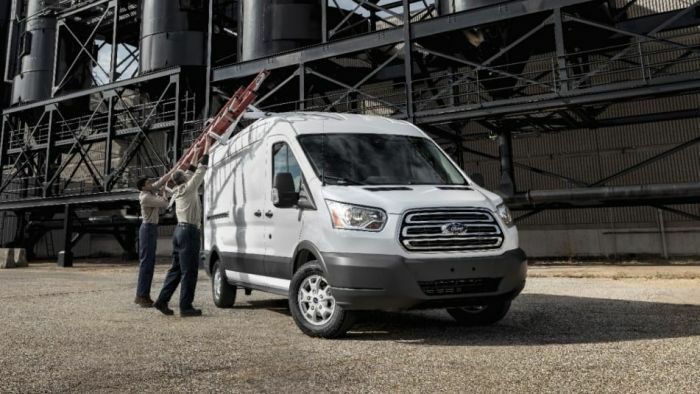 Ford Motor is adding 26,000 vehicles to the recall of 2015-2017 Ford Transit vans. The Transit vans in question are equipped with trailer tow modules. As we first reported back in October of 2017, water can get into the trailer tow module and cause corrosion. The wiring corrosion and damage to the module can trigger a fire. Because the corrosion can cause fires even when the van isn’t running, owners are being warned to park the vehicles outside so they don’t catch the garage or other items on fire. The 26,000 additional vans were not included in Ford’s earlier recall because Ford didn’t realize these vehicles had similar trailer tow modules or wiring. According to Ford, water can leak into the trailer tow modules and connectors and cause corrosion in the module and electrical wiring. Significant corrosion could cause serious issues like electrical short circuits, seat belt problems, a burning smell and increased risk of fire, even when the van isn’t running. Owners may notice electrical problems tied to the corrosion like rapidly flashing turn signals, loss of the dashboard displays, loss of heat and air conditioning controls, and possible problems with the radio, screens and SYNC displays. Ford is not aware of any accidents or injuries associated with this issue. Ford is aware of two confirmed reports of vehicle fires on Canadian fleet vehicles related to this condition. All of the affected vehicles are 2015-17 Ford Transit vehicles built at Kansas City Assembly Plant, Feb. 3, 2014 to Aug. 2, 2017. The recall now involves approximately 99,893 vehicles in North America with 90,864 in the U.S. and 9,029 in Canada. The Ford reference number for this recall is 17S34. Dealers will add a drainage hole to the driver’s door stepwell and incorporate a fuse into the vehicle wiring harness at no cost to the customer. Parts are already available to complete repairs. Most importantly, because the fires cans happen when the vehicle is turned off, Ford is warning owners to park them outside until they can be repaired. Be careful not to leave the vehicle where it could start something on fire and injure people or animals.